1. Add diced beef, onion, ground tomato, garlic powder, paprika, cumin, Italian seasoning, chopped parsley, salt, pepper and red chili pepper flakes in the Instant Pot and mix well. 2. Add beef stock and broken lasagna, mix well to combine and cover with the lid. 3. Set to high pressure and cook for 20 minutes in soup/stew mode. After it is done, let the pressure naturally release. 4. 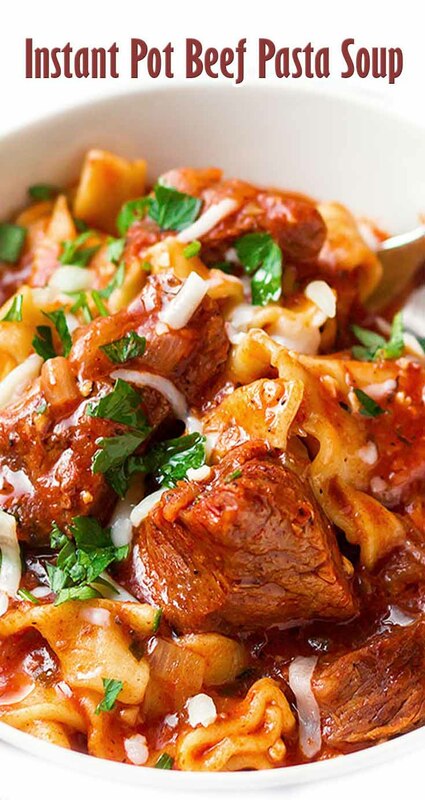 Divide the beef and pasta into bowls or plates and garnish individual servings with desired amount of cheese and parsley. Enjoy ♥︎!